Glam makeup, a fun dress & bold pumps…the perfect combination to wear throughout the Holidays! 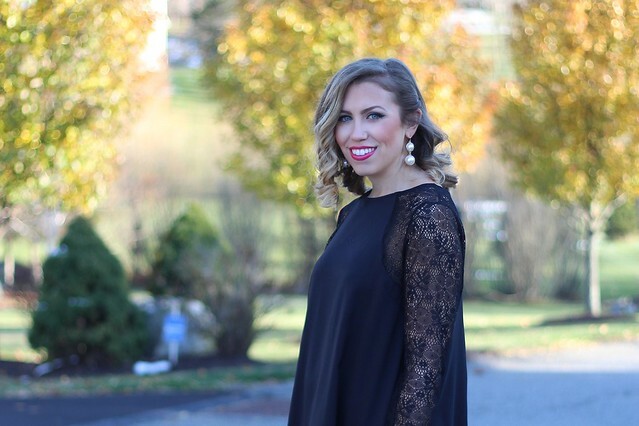 A good black dress will not only get your through the holidays, but get you through pretty much every occasion during the year! The lace detailing on this one really makes it special & the silhouette isn’t something I’m used to wearing, but it’s perfect! I just couldn’t call it a Holiday look without a pop of festive color, and these red leopard pumps were begging to be taken out for a spin!